Colorado-based pop rock band OneRepublic was officially formed in 2002 by their lead vocalist Ryan Tedde, who came fresh from the music industry with the support of Timbaland. At first, they were struggled for success and according to their official website onerepublic.com, almost give up after an unsuccessful contract with Columbia Records. The group attributes their persistence to the encouraging listeners they gained on MySpace. When Timbaland formed his Mosley Music Label with Interscope, he signed them on as his debut rock band. Since then, they have released two albums, "Dreaming Out Loud" in 2007 and Waking Up in 2009. Both albums contain some soulful songs for every mood. 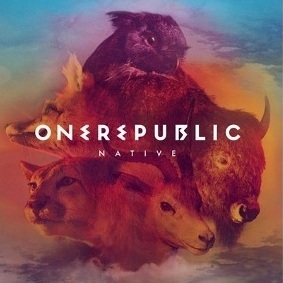 Native will be their third studio album slated for release in the USA on March 26, 2013 though Mosley, Interscope. The album will be available in two versions: standard and deluxe. The standard edition holds twelve tracks, while the deluxe edition contains additional five bonus tracks. 2. "If I Lose Myself"
15. "If I Lose Myself (Acoustic Version)"
16. "What You Wanted (Acoustic Version)"
17. "Burning Bridges (Acoustic Version)"